Percocet, a synthetic opioid combining acetaminophen and oxycodone was FDA approved in 1999 for the relief of moderate to moderately severe pain. Percocet (oxycodone) is habit-forming, and has been the focus of efforts by the DEA and other regulators to reduce the soaring number of deaths by overdose and Percocet-related emergency visits ever since 1999. Percocet is the brand name for the combination of a synthetic opioid called oxycodone and a non-opioid pain reliever called acetaminophen, also called Tylenol. Oxycodone has a similar structure and also similar addictive characteristics to morphine. Like all opiates and other combined opioid analgesic medications, Percocet is a CNS depressant which slows down the respiratory system and also the heart rate, and causes a euphoric, relaxed sensation. There is also a time-release form of Percocet called OxyContin. Both Percocet and OxyContin have been the subjects of much concern with a soaring number of persons struggling with addiction to these drugs, and also the rising number of overdoses and deaths. When two or more CNS depressants such as Percocet and alcohol are taken together, the additive depressant effects can lead to respiratory collapse or coma, requiring immediate medical intervention. The Good Samaritan Law allows people to assist others amidst a medical emergency; in effect, creating a liability-free solution to preventing overdose and death. The law applies to each state in the US and in many countries around the world. There is no legal ramification in calling 9-1-1 to request emergency medical help for a person in an overdose situation. Before starting or stopping a drug like Percocet, becoming as knowledgeable as possible about side effects, health risks and withdrawal symptoms can help to make the most informed decision possible for you or a loved one’s health and safety. What Is Percocet (Oxycodone) Used for? Oxycodone or Percocet is a pain relief medication for moderate to moderately severe pain. Typically, the common prescription dosage is to give one tablet every 6 hours for the relief of continuous pain. Oxycontin is a continuous release form of the medication, given once every 12 hours. Recreationally, both Percocet and OxyContin are used for their euphoric effects, similar to or stronger than other opiates such as morphine or heroin. Percocet, oxycodone, and OxyContin have all developed a significant street presence as these drugs are all habit-forming and easy to get addicted to. On the street, these may be referred to by nicknames, such as Percs, C, Oxy’s, OX, OC, Blues, Kickers, Hillbilly heroin, 40s, and 80s (OxyContin 40mg/80 mg pills). The greatest key to health is education, which will give a person the understanding of how to avoid personal medical tragedies despite disingenuous or even illegal marketing practices by over-reaching drug companies. It is recommended that one stop using oxycodone or Percocet gradually to avoid what could be intense withdrawals, depending on the length of time it was taken, and the dosage. If you have been taking Percocet for an extended period of time, it may require gradual tapering to make it possible to endure the associated intense withdrawals. Seek medical advice before suddenly stopping a drug like Percocet. Some persons may prefer to opt for inpatient help as the withdrawals can be near to impossible to endure without assistance. There are many ways to ease the process, such as a short course of bridge medications to ease these profoundly uncomfortable withdrawals. More information on withdrawal management is given below in the section called “Treatment”. Below are some of the questions most frequently asked about Percocet addiction and treatment options. If you would like more information, please reach out and we will help. Is Percocet (Oxycodone) an Opioid? Yes. Percocet contains a synthetic opioid and is classed as a Schedule II analgesic opioid medication. The Alternative to Meds Center offers help for withdrawal and recovery after addiction to analgesic opioid medications that is humane, and as comfortable as possible. 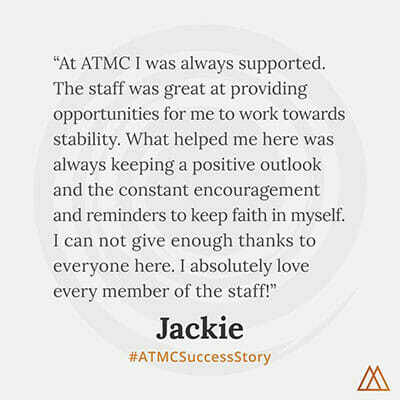 ATMC foundational principles may make the difference between success and the potential for relapse. Here are some key differentiators in our program. First, we test for and discover any residual neurotoxic substances that have accumulated in the body, usually since well before drug use began. These stored heavy metals, pesticides, industrial cleaners, and other harsh chemicals become embedded in the body and wreak havoc on the neurochemistry of the brain and the entire central nervous system. These accumulations may cause a number of unwanted symptoms such as insomnia, anxiety, depression, pain, and others. When these toxins are cleared through gentle use of infra-red sauna, nebulized glutathione, selected diet containing detoxifying foods, and many other non-invasive methods, these unwanted toxin-linked symptoms fade. Clients often report sleeping better than they ever remember, feeling calmer, brighter, more energetic, and many other benefits. The second fundamental of recovery from opiate use is to understand how these drugs affected the neurochemistry of the body, and then understand how to reverse the damage. In the presence of opiates or opiate analogues, the body stops producing natural endorphins. Natural endorphins are what the body produces as a defense against pain. The body also begins building more pain receptors. This is because the opiates have done such a good job of blocking pain, that the body essentially forgets and must rebuild its pain-alert system by building more pain receptors. Now that the opiates (or analogues or synthetics etc.) have been withdrawn, the pain is tremendously magnified, at least until these extra pain receptors die off. This is the usual spot where relapse can occur because the pain is just too great to bear. There are many ways the Alternative to Meds Center programs can prevent this barrier from stopping a successful withdrawal experience and ultimate success in recovery. Our approach to withdrawal from opiates is gentle, gradual, and supported by neurotransmitter repair protocols. In some cases, a short course of bridge medications, mild in nature but effective, may be desired to ease the person over the most intense part of the process. Please reach out to us for more information about our program which has helped thousands of clients reach their goals and achieve natural, sustainable mental health and enjoy a drug-free life.